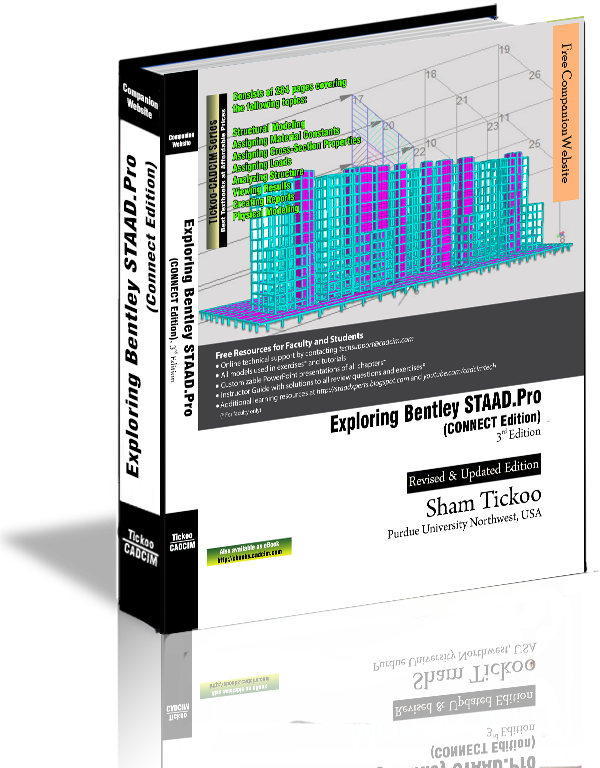 Exploring Bentley STAAD.Pro CONNECT Edition is a comprehensive textbook that has been written to cater to the needs of the students and professionals. 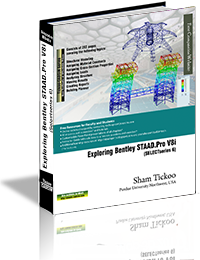 The chapters in this textbook are structured in a pedagogical sequence, which makes the learning process very simple and effective for both the novice as well as the advanced users of STAAD.Pro. 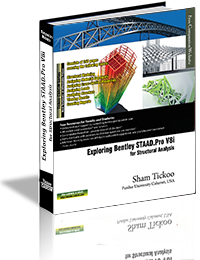 In this textbook, the author explains in detail the procedure of creating 2D and 3D models, assigning material constants, assigning cross-section properties, assigning supports, defining different loads, performing analysis, viewing results, and preparing report. The chapters in the book are punctuated with tips and notes, wherever necessary, to make the concepts clear, thereby enabling the user to create his own innovative projects. Real-world projects given as examples. 284 pages of illustrated text. Self-Evaluation Tests and Review Questions.